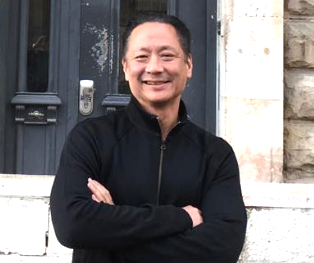 SAN FRANCISCO — Public Defender Jeff Adachi was re-elected on Nov. 6, but the outcome wasn’t exactly a surprise — he was running unopposed. As of Nov. 29, Adachi — the only elected public defender in California — had received 286,688 votes (98.4) percent, with write-ins totaling 4,670 (1.6 percent). He was also unopposed in the last two elections. “Thank you from the bottom of my heart … for placing your faith in me and allowing me to serve as your public defender,” Adachi said in a Facebook post on Nov. 7. Adachi was raised in Sacramento by parents and grandparents who had been incarcerated at the Rohwer camp in Arkansas during World War II. He received his B.A. from UC Berkeley in 1981 and his J.D. from the University of California, Hastings College of the Law in 1985. He served as a deputy public defender in San Francisco for 15 years before being named chief attorney of the Public Defender’s Office, a position he held for three years. When Kimiko Burton was appointed public defender in 2001, she immediately fired Adachi, but he ran against her in 2002 and won, 55 percent to 45 percent, in a face-off between two Japanese American candidates. In an Oct. 3 editorial, The San Francisco Chronicle said: “Jeff Adachi more than fills the bill as San Francisco’s public defender. He runs an office that handles 23,000 defendants a year, offers a string of re-entry and education programs, and speaks up instantly when there’s a police shooting or threat of an immigrant sweep. “He also brings an independent streak in a city where politics can be regimented. He’s gone after city pension rules to shave down public worker benefits and lost after angering city unions. In 2011, he ran for mayor, refusing public financing, and came in a humbling sixth. This year he did nothing to stop four of his public defenders from challenging sitting judges who won easily, an outcome that can’t help his office’s chances in court. “The ups and downs haven’t harmed him. He ousted an incumbent 16 years ago and easily won re-election since. This time he’s running unopposed, a tribute to his hold on the office. Also an award-winning filmmaker, Adachi’s credits include “Defender” (co-directed with Jim Choi), which focused on Adachi and his team during the racially charged trial of Michael Smith, a 22-year-old African American man who was charged with nine counts of resisting arrest after being pulled off a BART train with his girlfriend and wrestled to the ground by officers. Adachi is currently working on “Ricochet,” a documentary about the tragic death of Kate Steinle and the trial of the man accused of her murder. The victim was walking on Pier 14 in San Francisco with her father when a shot rang out. Seconds later, she was dead. An undocumented immigrant, Jose Garcia Zarate, was arrested. Within hours, then-candidate Donald Trump used the case to justify his immigration policies, stating that Steinle’s death was caused by San Francisco’s sanctuary city policies. With Matt Gonzalez, chief attorney of the Public Defender’s Office, assigned to the case, the trial became a national news story. Assessor-Recorder: Incumbent Carmen Chu was re-elected with 235,187 votes (74.4 percent) to challenger Paul Bellar’s 79,674 (25.2 percent). Chu has been in office since 2013 and previously served on the Board of Supervisors. Board of Supervisors, District 4: Community activist Gordon Mar defeated his closest rival, Jessica Ho, 10.288 (36.23 percent) to 7,423 (26.14 percent). Mar, who will represent the Sunset District, is the brother of former Supervisor Eric Mar, who represented the Richmond District. Ho is legislative aide to Supervisor Katy Tang, who chose not to seek re-election. Finishing in third through eighth place were Trevor McNeil, Arthur Tom, Lou Ann Bassan, Mike Murphy, Tuan Nguyen and Adam Kim. The other API members of the Board of Supervisors, who are not up for re-election this year, are Sandra Lee Fewer, District 1; Jane Kim, District 6; and Norman Yee, District 7. BART (Bay Area Rapid Transit) Director, District 8: Janice Li won with 39,997 (32.05 percent) with Eva Chao in second place with 24,525 (19.65 percent). Li, the first woman elected to this position, served on the city’s Transportation Task Force and is advocacy director of the San Francisco Bicycle Coalition. Chao is a business owner and service industry executive. Also running were Melanie Nutter, Brian Larkin, Jonathan Lyens and William Walker. Nick Josefowitz gave up the seat to run for District 2 supervisor. Board of Education: The three winners were Alison Collins (122,865, 15.02 percent), Gabriela Lopez (112,299, 13.73 percent) and Faauuga Moliga (107,989, 13.2 percent). Moliga was appointed to the board by Mayor London Breed to replace Hydra Mendoza — the city’s first Filipina elected official — who resigned to take a job as deputy chancellor in New York City. A mental health professional who grew up in the projects, Moliga is the first Pacific Islander to run for school board. Also running were Phil Kim, Michelle Parker, Li Miao Lovett, John Trasvina, Alida Fisher, Monica Chincilla, Lenette Thompson, Josephine Zhao, Mia Satya, Paul Kangas, Darron Padilla, Martin Rawlings-Fein, Connor Krone, Roger Sinasohn, Lex Leifheit and Phillip Marcel House. Having challenged her disqualification to no avail, Murase, whose term expires on Dec. 31, said she plans to run again in 2020. When she was first elected in 2010, Murase became the first Japanese American to serve on the Board of Education.